Casting Frontier has published another of my articles – save this one for your audition prep! “There is never enough time to be ready for an audition, especially when it’s the one you’ve been waiting for… the one you reallywant. When an audition comes, you usually have at most one day with the sides to be ready to prove you’re the right pick for the role. 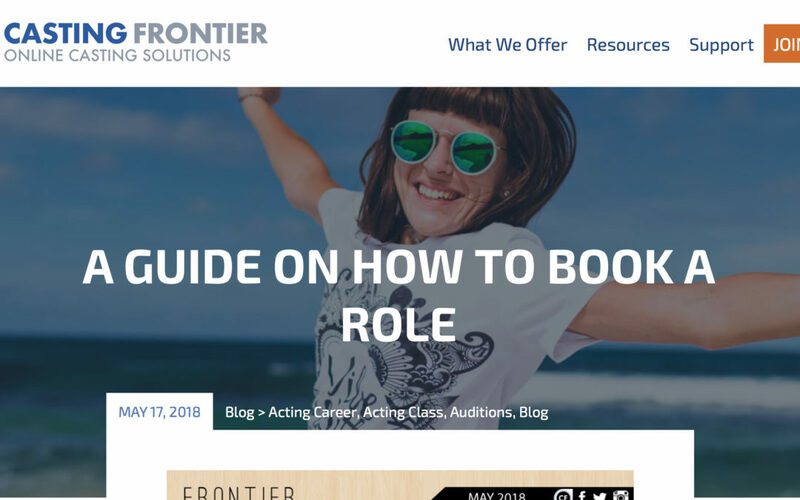 Click here to read more: A Guide on How to Book a Role in the Casting Frontier Acting Career Blog. Please comment on the blog if you have any questions or thoughts. Here’s to booking that dream role!